Alabama: it’s the heart of Dixie and still one of the deepest of red states in the Union. 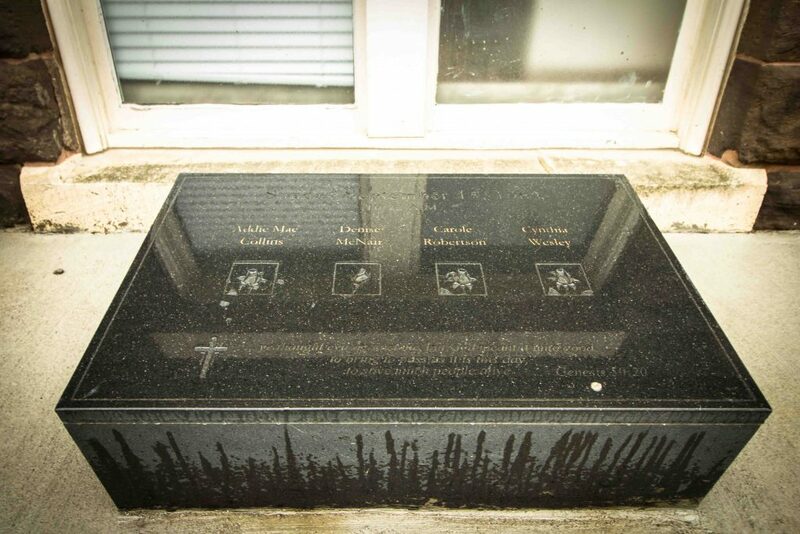 It’s a place that’s been plagued with racial tension for its entire existence, and has the monuments to show for it. This made an Alabama road trip the perfect final segment of our social-justice themed trip through the South. 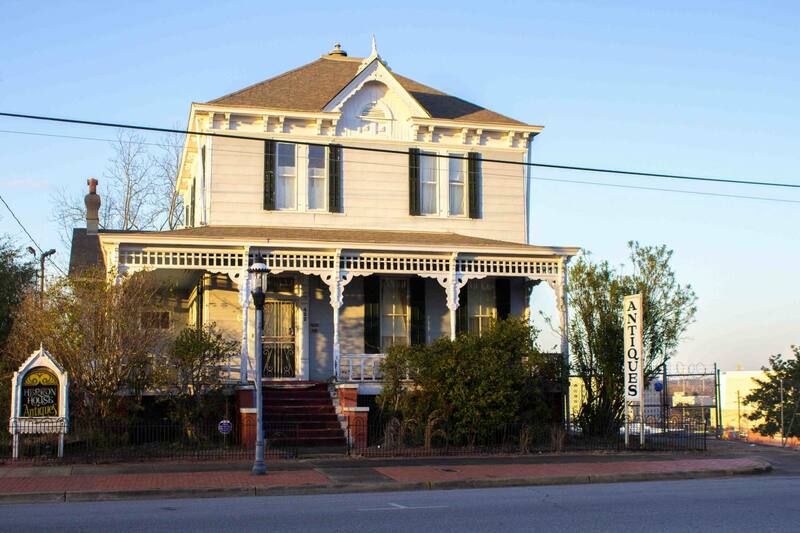 We traveled to three towns – Birmingham, Montgomery, and Selma – each the site of major events during the Civil Rights Movement. In Birmingham, we had our first opportunity to use CouchSurfing, something we’d been wanting to try for ages. Our host was an interesting character, a 53-year-old male former ballet dancer from the Soviet Union. We spent some time talking to him about his interesting past, and while I can’t say we agreed with him on most of the subjects we discussed, it was undoubtedly a unique experience. We did bond over a pizza I made for us, and he gave us tips about Birmingham and showed us the trick of drinking red wine with club soda (much better than we expected). 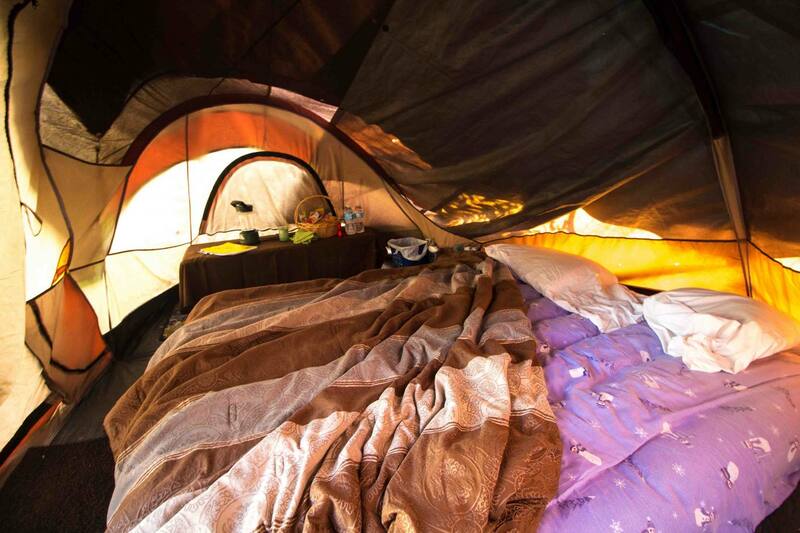 You never know what you’re going to get with CouchSurfing, but that’s exactly why we’d like to try it again. 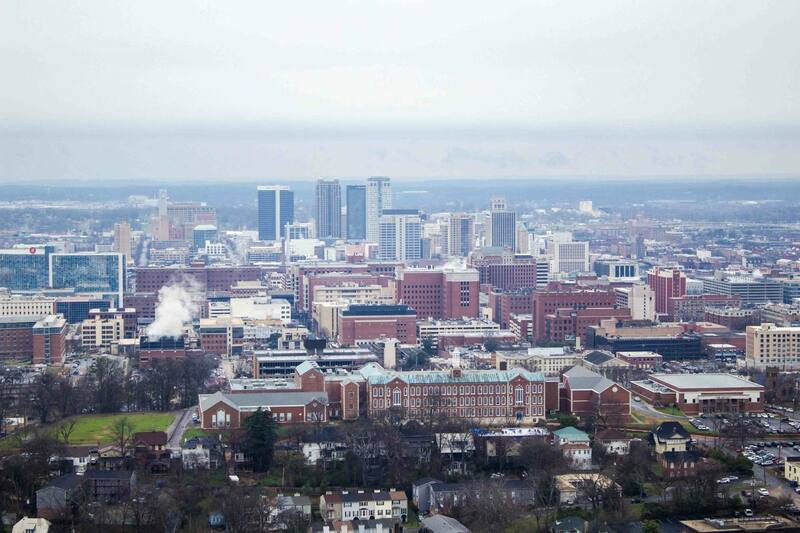 We regretfully admit to knowing painfully little about Birmingham before arriving there – mostly just its association with Martin Luther King Jr. and the Civil Rights Movement. So we were definitely surprised when we found a 56-foot-tall cast-iron statue (the largest of its kind in the world) watching over the city. 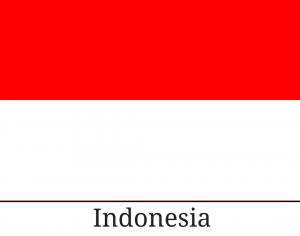 What was its significance? Determined to find out, we drove to its base. 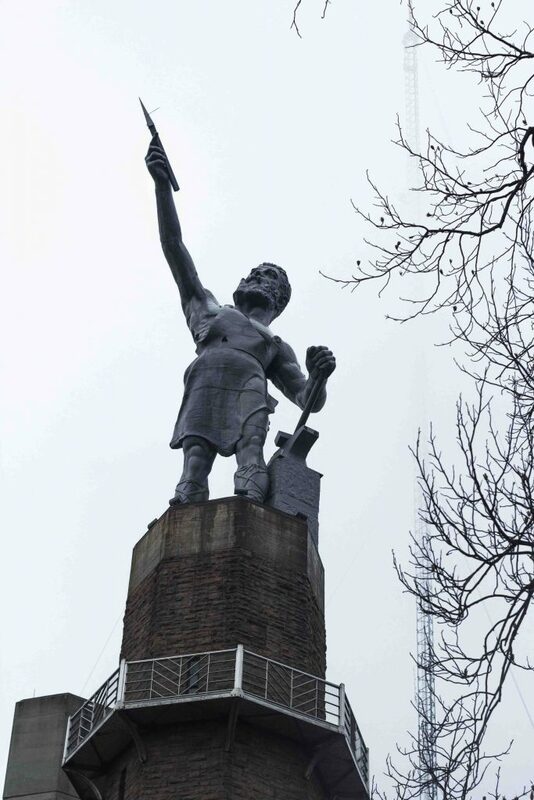 The statue, known as Vulcan, represents the city’s iron and steel industry. The museum next door tells the story of how Birmingham was founded after the Civil War and soon became the industrial center of the South. 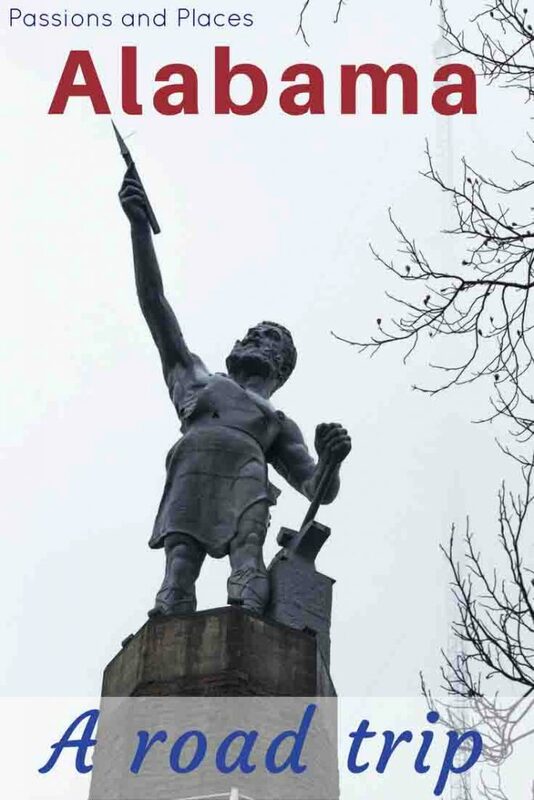 The city’s success was predicated on a geological quirk: iron, coal, and limestone are all present in the nearby mountains, and all are necessary ingredients in the production of steel. 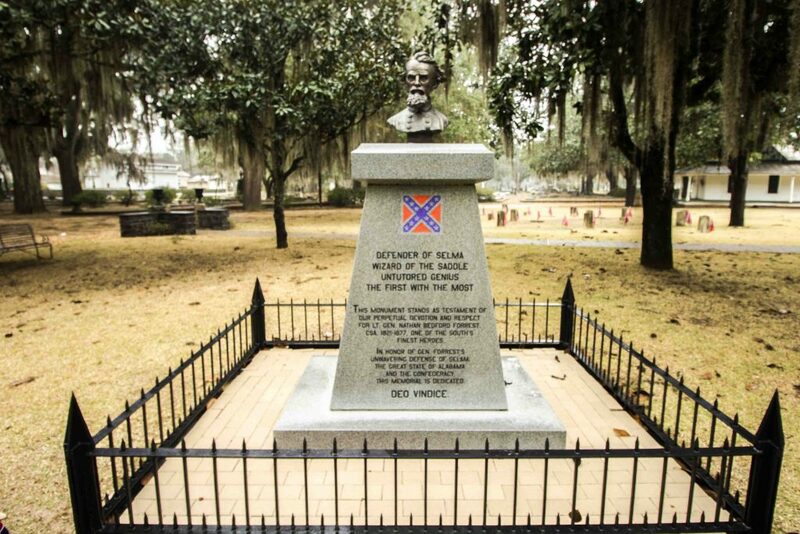 It’s a fascinating history and one that incorporates the social issues that were the focus of our Southern road trip. Many of the workers in the mines were immigrants and recently freed slaves, whose lives were considered of little value in the city’s quest for prosperity. In addition to the eye-opening museum exhibits, admission includes an elevator trip to the observation deck near the top of the statue, which offers excellent views over Birmingham. 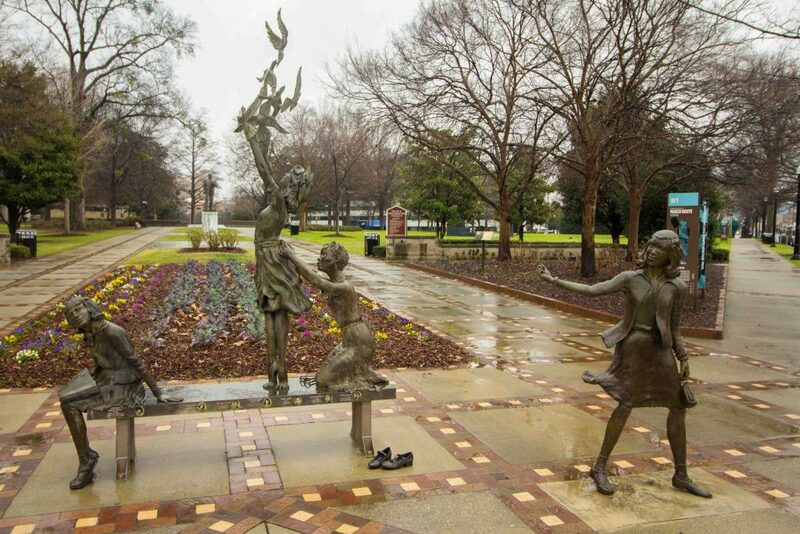 One of the nice things about Birmingham is that most of the Civil Rights-related attractions are located in one area, with Kelly Ingram Park as the centerpiece. In May of 1963, student protestors, all of whom were high school-aged or younger, were assaulted by the police under the orders of the Public Safety Commissioner, Bull Conner. 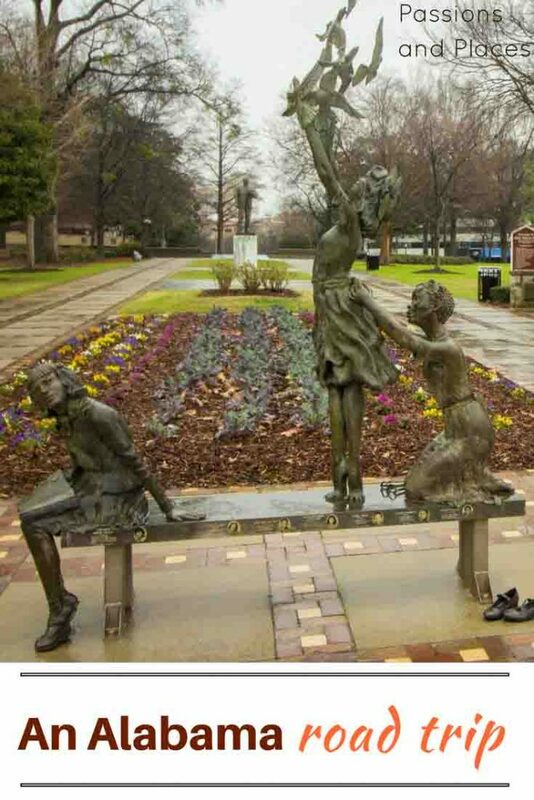 Scenes of children being blasted with fire hoses and ravaged by police dogs sparked a public outcry that led to desegregation in Birmingham and ultimately the Civil Rights Act of 1964. Today, the park is set up so visitors can follow the “Freedom Walk” around its perimeter, where a series of statues commemorates the student protests. Just across the street from the park is the 16th Street Baptist Church, which was a hub of civil rights activity in the 1960s, making it the target of a Ku Klux Klan bombing that killed four young girls. There’s a small exhibit in the church’s basement memorializing the event and the work of those who fought for civil rights in Alabama. 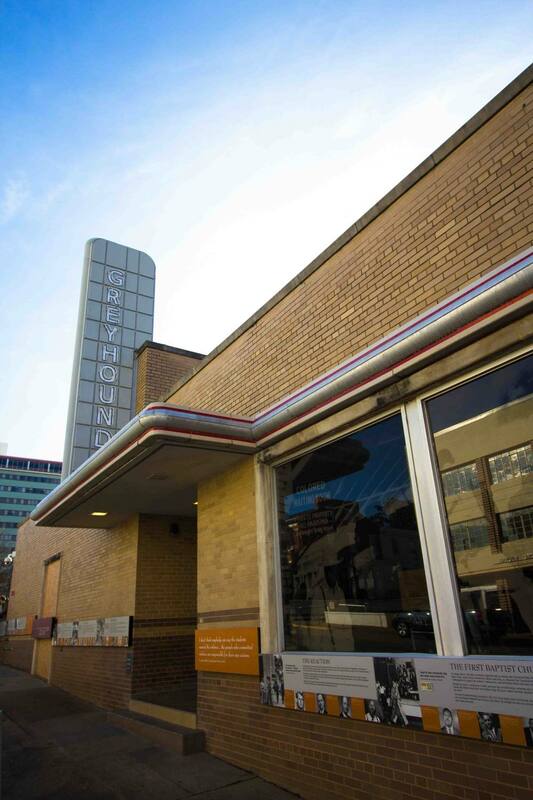 From the church, the Birmingham Civil Rights Institute is only a few steps away, and it’s one of the most comprehensive museums and research institutes focused on the Civil Rights Movement. Its exhibits take visitors from the beginnings of desegregation with Brown vs. Board of Education through the bus boycotts and the marches of Martin Luther King Jr. to the passing of the Fair Housing Act in 1968. In addition, the NUEVOlution exhibit opened at the BCRI just weeks before we visited. It’s a traveling exhibit examining Latinos’ influence in the Deep South and immigrants’ struggles for civil rights in the U.S. today. Not surprisingly, it really illuminates the connection between the Civil Rights Movement of the past and the inequality that persists today. The BCRI was the most expensive museum of our road trip ($15 for adults/$5 for children), but it’s one of the most informative museums I’ve ever visited. It’s also huge; to take in all its content, you’d probably want to set aside three hours for a visit. I would be doing anyone thinking about their own Alabama road trip a disservice if I didn’t mention the food; while New Orleans gets all the credit when it comes to good eats in the Deep South, we found Birmingham to be a strong second. For breakfast, Crestline Bagel Co. in the suburb of Mountain Brook (which feels more like New England than the Deep South) is amazing. So many cream cheese choices, so many bagel flavors, all of them perfectly boiled and baked. Bagels aren’t your thing or don’t feel like driving to the suburbs? Head to We Have Donuts, a high-end donut counter downtown. They only carry a few flavors each day, but with specialties like s’mores, Earl Grey, and Mexican hot chocolate, you’re sure to find something you like. For lunch in Birmingham, we loved Delta Blues Hot Tamales in the hip Five Points South neighborhood. We had noticed earlier in our trip that tamale restaurants were popular, which seemed out of place for the South, but apparently Hispanic laborers coming up to pick cotton introduced them in the early 20th century. Delta Blues is one of the few places making vegetarian tamales, and they were perfectly spiced and delicious. Another trend we picked up on in Birmingham: gourmet popsicles. They seem to be sweeping the South, and while I was skeptical at first, a Cinnamon Toast Crunch popsicle from Frios changed my mind. 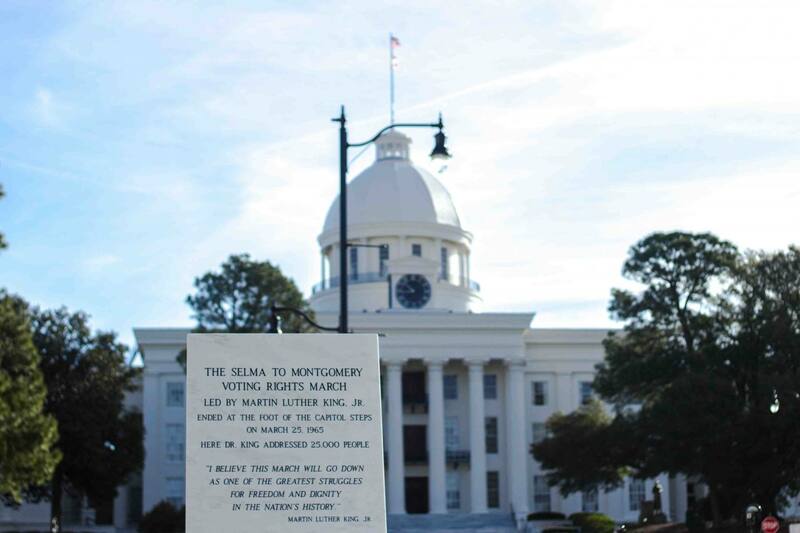 After two jam-packed days in Birmingham, our Alabama road trip took us south to the capital of Montgomery. We arrived late in the day, and spent the remaining daylight hours wandering around the Cottage Hill neighborhood, known for it’s Queen Anne-style homes – which felt like they belonged in the New England countryside, rather than a Southern capital. 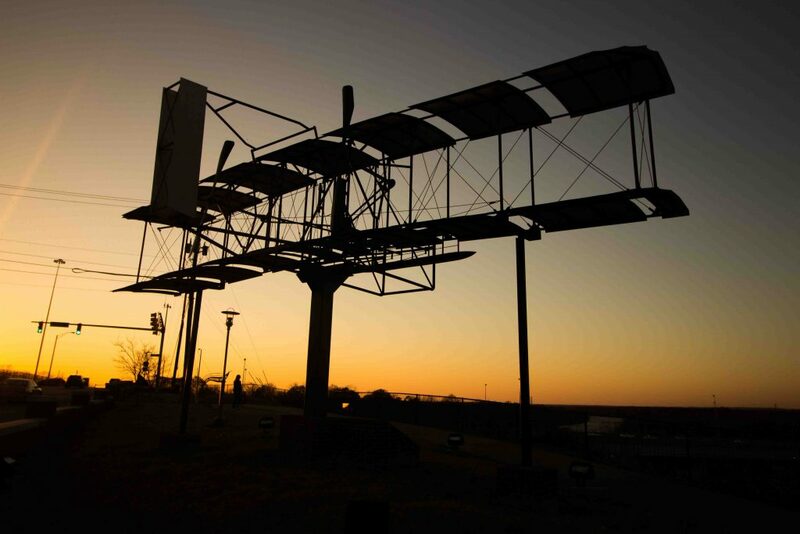 At sunset, we walked through the Wright Brothers Park and Riverfront Park – both were picturesque and great places for a romantic stroll. Once we’d seen what there was to see, we visited the Railyard Brewery for some craft beer and a soft pretzel. To save some money on accommodations (and have a more interesting experience), we drove half an hour to the nearby town of Tallassee, where we would be camping in an Airbnb host’s backyard. Our camping experience was only $15 and included a lighted tent with electrical outlets, an air mattress, bedding, a heater (February nights in Alabama are colder than you’d think! ), and even snacks. If you can find a listing like this, it’s an excellent way to save money on a road trip. We were up early the next morning, and ready to get out of the tent and back to the city. Our first stop in the capital was for some coffee. Just down the street from the capitol building, we found Prevail Union, which looked like they might serve a decent cup. While their coffee certainly tasted good, we didn’t have much of an urge to stick around as the café had very little seating, rather rude baristas, and an odd mix of ultra-hipster and redneck-chic decor. But it was a sunny morning; no reason we shouldn’t be out seeing the sights. It was a short walk up the hill to the capitol building, the same final steps Dr. King took as he led the Selma to Montgomery March in 1965. But we were headed to the nearby First White House of the Confederacy. For most of the Civil War, the Confederate capital was in Richmond, Virginia. But for its first few months, leaders met at the Alabama capitol building, and President Jefferson Davis lived right across the street. Our visit to the Confederate White House was both strange and intriguing given that our views of Jefferson Davis are largely negative, to say the least. However, much of the museum paints him as a resourceful and effective leader, and makes him out to be a symbol of Southern pride. No matter your views, the museum director who spoke with us might be the most talkative history buff I’ve ever met. His knowledge about the most minor of details of Confederate history seemed to be endless. 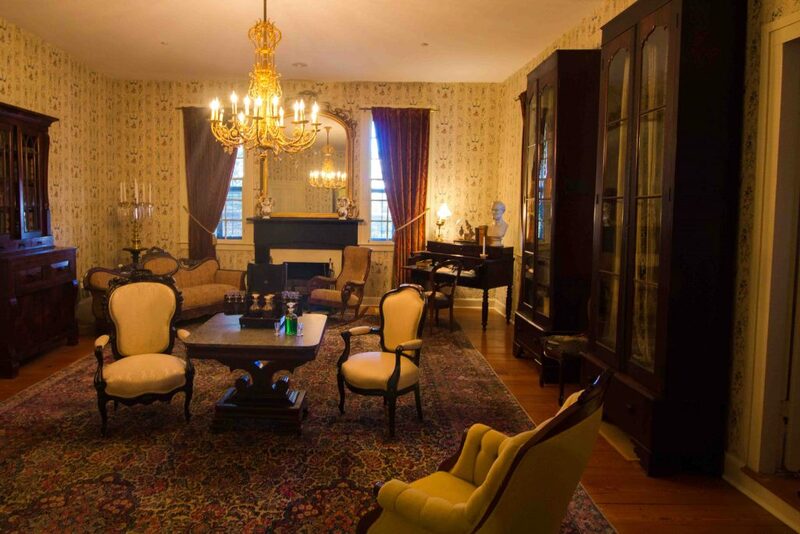 However, without him to explain everything, there’s not too much to see at the museum besides the furniture that would have been present during Jefferson Davis’ tenure there. One of the things we noticed during the road trip was how many more businesses are closed on Sundays in the South compared to most of the U.S. Since so many places were closed in Montgomery, we did what any good digital nomads would do and headed to a coffee shop to get some work done. We ended up at Trojan Café, the Starbucks-branded café adjoining the Troy University bookstore. It was dead quiet in there, and we sensed that we’d bothered the lone employee by coming in. Where were the students? While we found quite a few good-looking lunch spots in Montgomery, Sunday closures prevented us from visiting almost all of them. So we settled on Mellow Mushroom, a pizza chain that’s ubiquitous in the South. We loved their pretzel bites with PBR-flavored beer cheese dip, but we accidentally ordered a pizza that was drizzled in mayonnaise (and even if you call it “aioli,” there’s no excuse for mayonnaise on a pizza – although I realize this is common in some countries). Our last stop in Montgomery was the Freedom Riders Museum, an old Greyhound bus depot where young Civil Rights activists were brutally beaten when they challenged segregation on inter-state bus lines in the early 1960s. The walls of the relatively new museum are filled with profiles of the students who took part in the Freedom Rides, describing the terror inflicted upon them and the reasons they were willing to risk their lives for the cause. A particularly jarring exhibit is a replica of the Freedom Riders bus that was firebombed in Anniston, AL on Mothers Day in 1961 (the attackers having just left their Sunday church service, no less). Museum staff will lead you through the exhibits, giving more background on the history that took place there. Our guide, an enthusiastic intern from the nearby university, was the highlight of our visit. It’s a fairly small museum, just one room, but there’s so much powerful history packed into it that you could still spend an hour or so there. The last town we visited in Alabama was one that seemed to puzzle just about everyone we talked to. “Why would you go to Selma? There’s not much there. 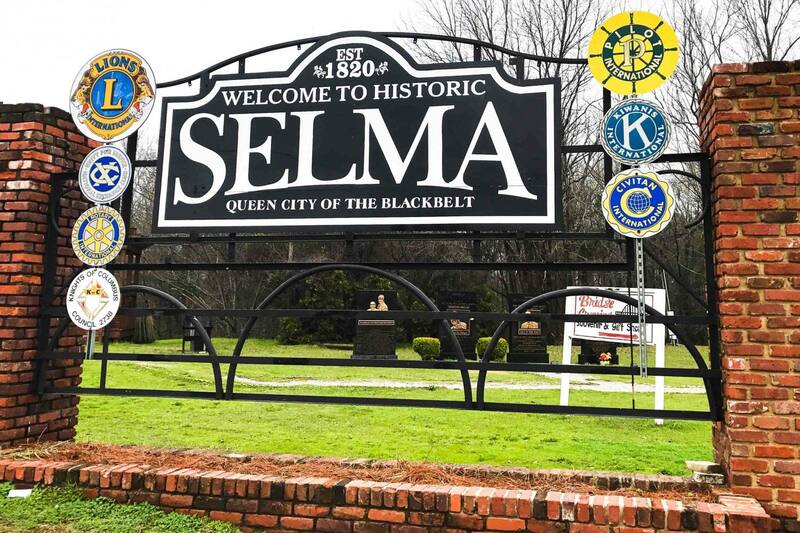 And you know, it’s kind of dangerous.” But Selma is so full of history that it seemed like a key stop for our Alabama road trip – and hey, road trips are all about getting off the tourist trail anyway. 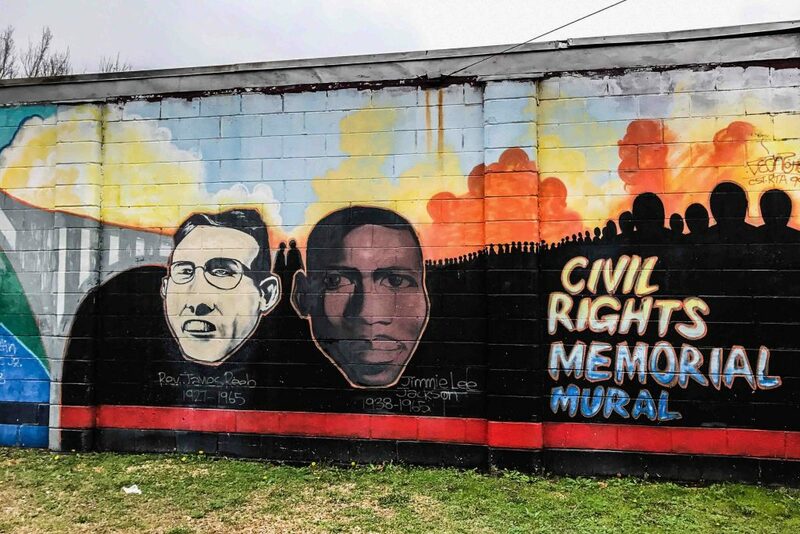 If there’s one thing people know Selma for, it’s probably the scenes of protestors being savagely beaten by Alabama State Troopers and their accomplices on the Edmund Pettus Bridge during the Selma to Montgomery March of 1965. Referred to as Bloody Sunday, it’s one of the most enduring images of the brutality inflicted during the Civil Rights era, and it prompted federal law enforcement to step in to protect the protestors. Like the children’s march in Montgomery, it made the country to wake up to the vicious racism that was happening in the South. However, if you’re closer to our age, you might be more familiar with the much more uplifting image of President Obama and his family marching across the bridge with former protestor and current congressman John Lewis to mark the 50th anniversary of Bloody Sunday. 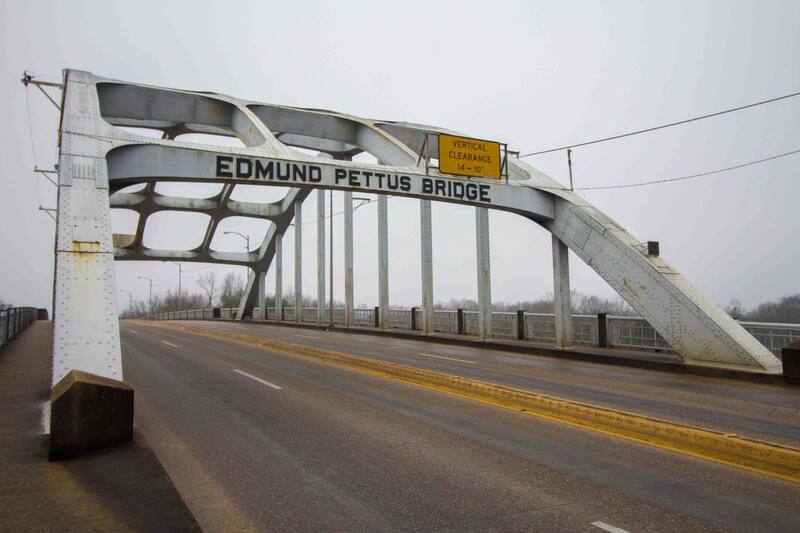 Walking across this bridge is now a common activity for visitors to Selma, maybe in hopes that they’ll experience the enormity of what occurred here. Bridge significance aside, Selma was one of the quieter stops on our trip, and it rained for two of the three days we were there (one of which was also Super Bowl Sunday, which we imagine was a bigger deal to most Selma residents than it was to us). 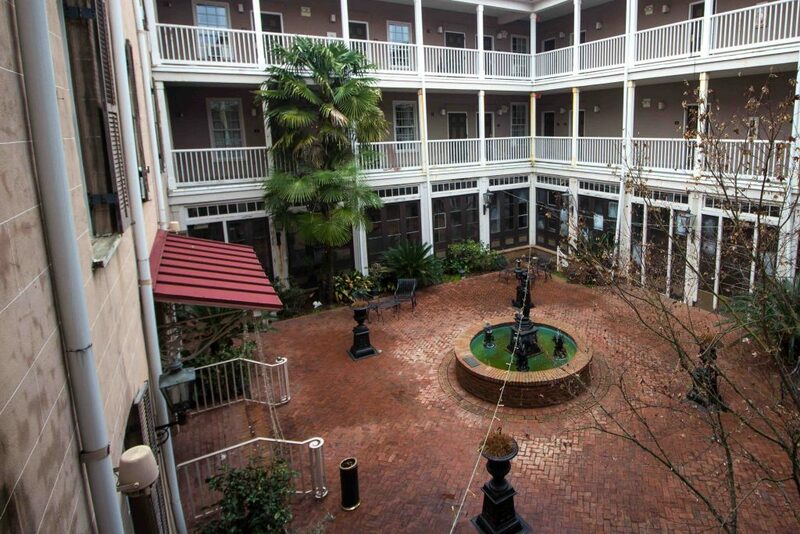 We spent some time during those rain days just chilling at the St. James Hotel, a historic hotel that’s right on the town’s riverfront and next to the bridge. 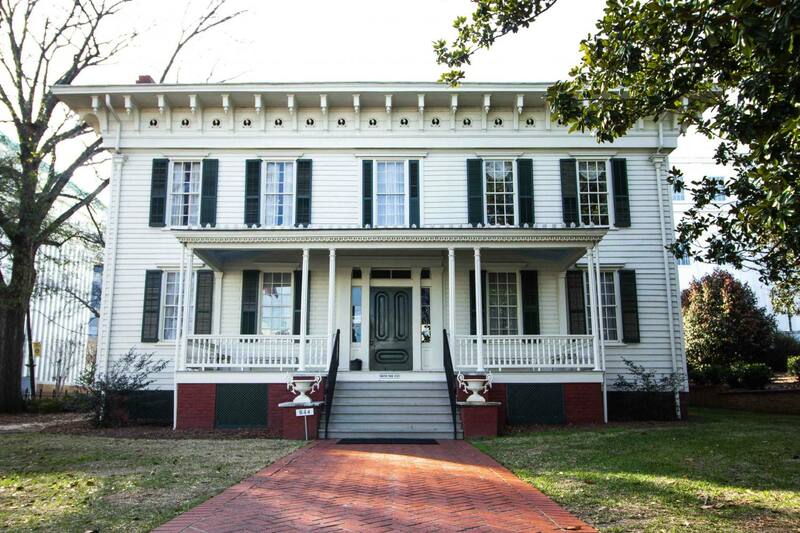 The building predates the Civil War and is rumored to be haunted, but we didn’t witness any paranormal activity while we were there. The last stop of our social justice road trip took us across the Edmund Pettus Bridge to the Voting Rights Museum. While there are excellent museums throughout the South on the history of slavery and the fight for civil rights, this one is the place to go to learn about the struggle for the right to vote. Starting at the end of the Civil War and continuing today, some states have made voting as difficult as possible for certain groups, specifically African-Americans – be it through the poll taxes and literacy tests of the past century or felony disenfranchisement and ID requirements that disproportionately affect African-Americans today. 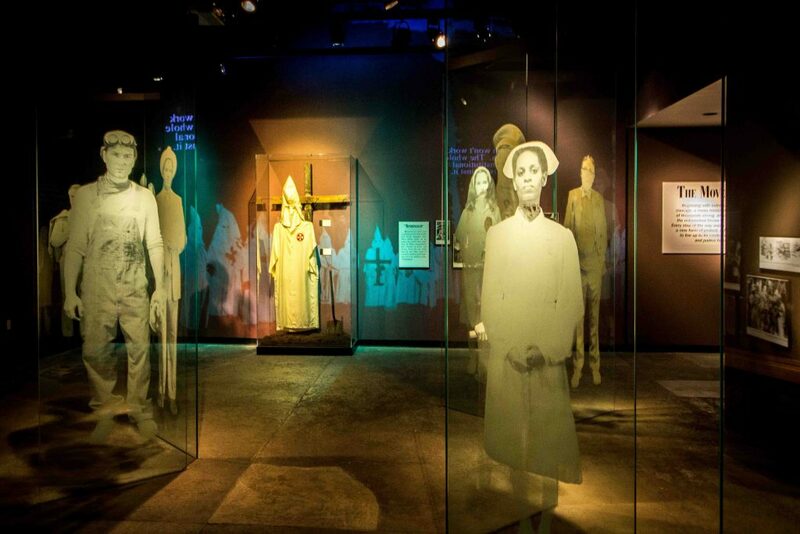 The Voting Rights Museum is an important one to see, not just because it shows the sins of America’s past, but because it also makes the connection to mistakes continuing today. It’s not a very large museum, but the exhibits are dense and it takes about two hours to go through. In Alabama, as you can tell, we spent most of our time in museums. Normally, this would be an overload; too much history, too much information to take in and process in a meaningful way. But these museums were largely what we had come for, and so much of what we saw was connected. All of the museums we visited, in one way or another, taught lessons about the history of oppression and the struggle against it. 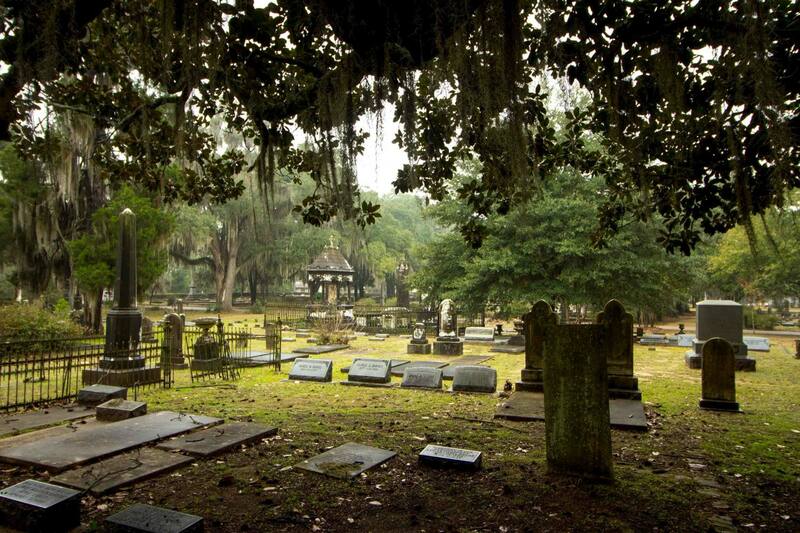 Which place in Alabama would you be most interested in visiting?